FragFX’s Mouse - Easy To Detach While On Work ! Have you ever heard about mLani wireless FPS microsoft-arc-mouse-easy-to-fold-easier-to-use/">controller then definitely, you will like this very much. This device has the facility to separate right hand mouse controller and to detach left hand grip controller. This is ideal for experiencing the usb-mouse-comes-with-microphone-and-speaker-3-in-1/">traditional PC mouse and keyboard style. digi-pod-mickey-mouse-comes-with-cute-display/">Want to know about Digi-Pod Mickey Mouse with display ? 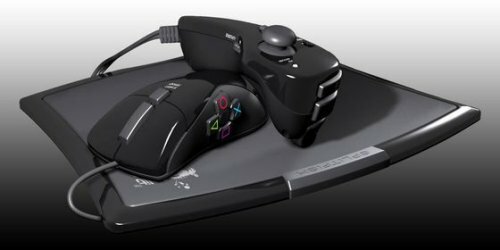 cordless-mouse-in-new-shape-you-never-seen/">Moreover, it is more compatible to play game of shooter games in a console environment. It can easily make FPS games more available is in the PC. You can have this stylish “Frag Button” for just $80 toclip-the-mouse-in-your-laptop/"> improve your game dramatically.